Eaton's Fresh Pizza on Hickory Street is back OPEN! Thank you so much for your patience and support! We all really appreciate it! This fiesta in your mouth starts with our homemade creamy chipotle sauce. 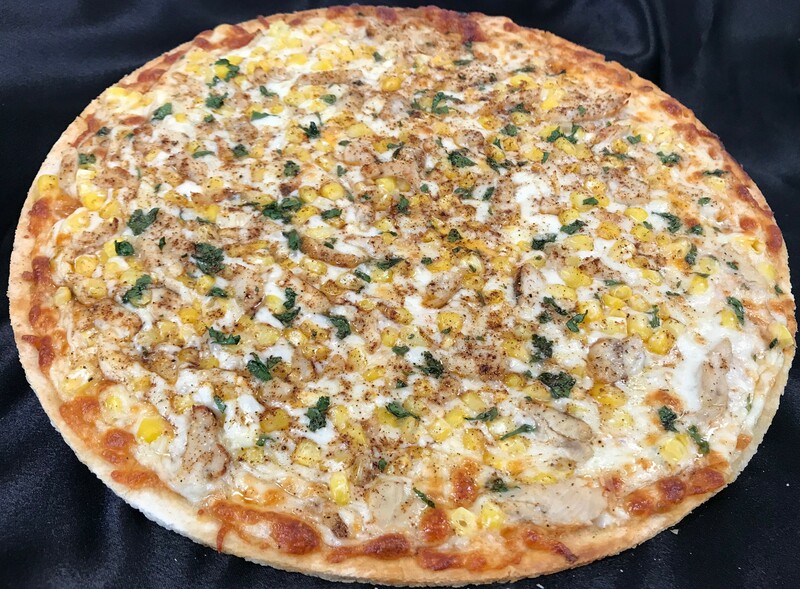 Then we add our famous mozzarella cheese, corn, and chicken. We finish it all off with Parmesan and Cojita cheese, cilantro, and chili powder. Welcome to Eaton's Fresh Pizza in Fond du Lac! We have been serving the Fond du Lac community for nearly 40 years. From helping local charities, providing party trays for your next celebration, to feed you on family pizza night, we are apart of your everyday life. We are filled with happy upbeat associates dedicated to bringing you the freshest possible food and brightening your day. We feature as many local food products as we can find. We sell honey, BBQ sauce, salsa, garnishes, and popcorn produced in Fond du Lac county. Several others, including hot sauce, maple syrup, root beer, and gourmet chocolates are made just outside Fond du Lac. We are truly engrained in the community and look forward to many years to come.